The Legendary Hotel Bel-Air is re-openining in October this year after 24 months of extensive redesign and refurbishment, and I am very excited to be able to share some images with you before it even opens! The design of the hotel has been a collaborative effort between two design teams – Alexandra Champalimaud and Rockwell Group – both internationally renowned and responsible for some of the most amazing hospitality spaces. Both firms have taken great care to keep much of the hotel’s originality, restoring the most beloved iconic elements while adding contemporary touches. The familiar Spanish Colonial architecture splashed in “Bel-Air Pink” is still present while a new Bel-Air aesthetic has been introduced in a fresh, youthful and elegant manner. 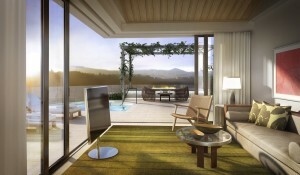 The Hotel will re-open with 12 new accomodations built into the hillside offering sweeping canyon views, expansive sliding glass walls, outdoor fireplaces and spacious decks with private infinity edge spa pools. 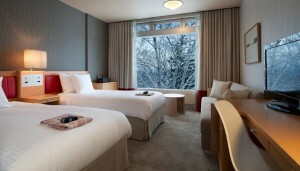 The original 103 guest rooms will re-open with larger bathrooms and heated floors. 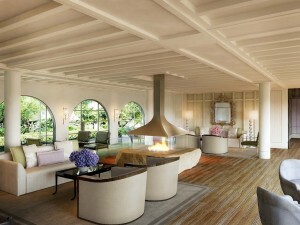 In addition, seven specialty suites which have been individually designed – including the famous Grace Kelly suite and a new Presidential Suite compound with 6,775 square feet of indoor and outdoor living space. 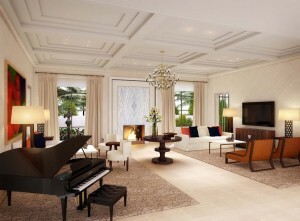 This suite will offer private dining for 10, a chef’s kitchen, a study, great room with grand piano, and a private pool located within a private Spanish courtyard. Sounds very Presidential indeed! Hong Kongers have endured the coldest January since 1977, and a pretty darn chilly February too! I can’t complain too much though, I know there are much colder places in the world. So I’m thinking if you can’t escape the cold and get to somewhere exotic like Waikiki, then embrace it and go to the snow! 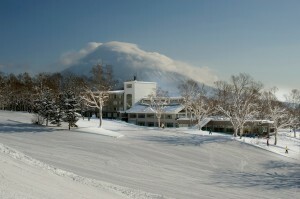 Niseko village is a few hours out of Sapporo in the Northern most island of Japan, Hokkaido. 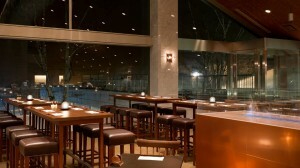 A place famous for beer, crab and skiing, and a favorite haunt for some of my friends. 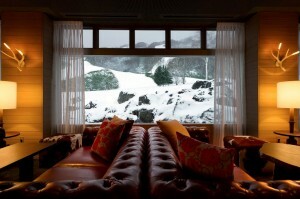 I never did make it to Hokkaido when I lived in Japan, but I might just need to organise a trip soon….and The Green Leaf resort may just be the place to say. 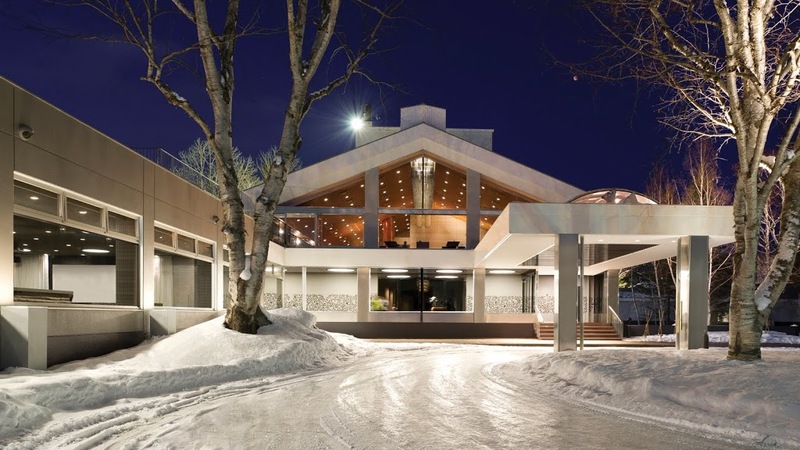 Newly designed by Alexandra Champalimaud and her team, The Green Leaf in Niseko, a 200-room ski-in, ski-out resort has unobstructed views of nearby Mt Yotei. 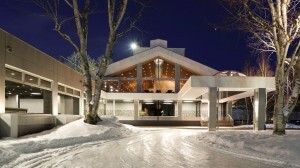 The resort has been designed in a style which incorporate traditional elements of European mountain lodges with touches of Japanese style and local art. One of the great things about Niseko is that its just as beautiful all year round, with plenty to do when its not of ski season. 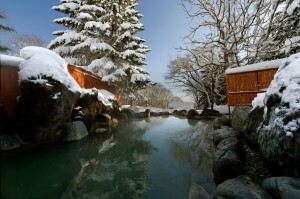 Even during ski season at The Green Leaf there is plenty to do for non-skiers (such as myself), the natural onsen and spa look like a great place to stay warm and still enjoy the views. What am I waiting for..? 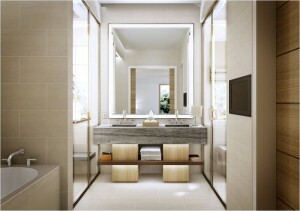 I am so excited to be able to share with you a sneak peek of the as yet unpublished Fairmont San Francisco Penthouse. 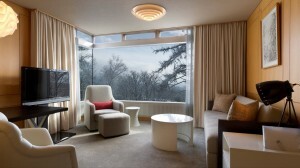 The iconic suite, which has been recently revitalized by Alexandra Champalimaud and her team, is 6,000 sq ft of pure luxury. Ten times larger than the average apartment here in Hong Kong, the suite spans the entire eight floor of the building and consists of three large bedrooms, a living room with grand piano, a formal dining room able to seat 60 people, a kitchen, a two-story library, a billiard room, and an expansive terrace with sweeping views of San Francisco. On top of all these amazing features, the suite is also home to an impressive art collection featuring original works by David Hockney and other contemporary artists as well as a grouping of exquisite Chinese porcelain vases. If that’s not enough to impress you, the world’s elite have called The Penthouse home. President John F. Kennedy, Prince Charles of Wales, Mikhail Gorbachev, King Hussein of Jordan, Queen Beatrix of the Netherlands as well as Mick Jagger, Elton John, Tony Bennett, Nat King Cole and Marlene Dietrich are just a few of the suite’s famous guests since it opened to the public. 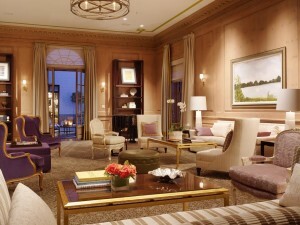 About the spectacular suite, Champalimaud says “The Penthouse of The Fairmont San Francisco is like no other hotel suite. This mansion in the sky is a perfect example of the grand and richly detailed residences that were built for families of San Francisco’s great fortunes almost a century ago. In designing The Penthouse, we have inherited a rich history and the eclectic and sophisticated tastes of the suite’s original owners and those who lived here”. 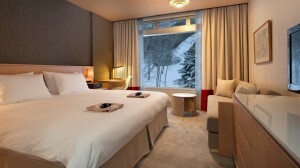 One of the three bedrooms in the Penthouse, this one is utterly beautiful. 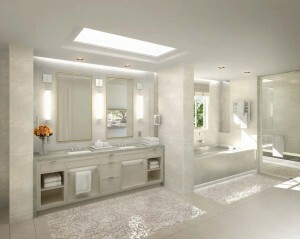 The colours are so fresh and calming, and the mix is classic and completely timeless. 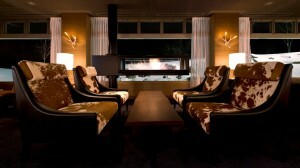 The living room…I am absolutely in love with it! 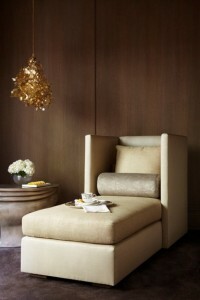 The colours are beautiful, as are the subtle details and the mix of antique and modern furnishings. 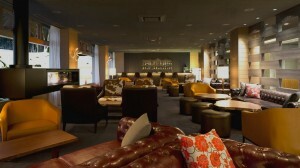 Can you imagine 60 of your closest friends in this room for a night? That’s a recipe for one hell of a dinner party if you ask me! The two-story circular library crowned by a rotunda where a celestial map is rendered in gold leaf against a sapphire sky. 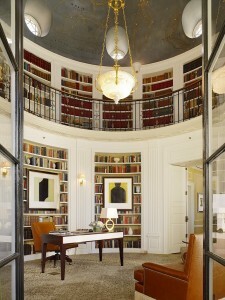 A secret passageway concealed behind bookshelves on the library’s second floor lends a sense of intrigue to the historic suite. 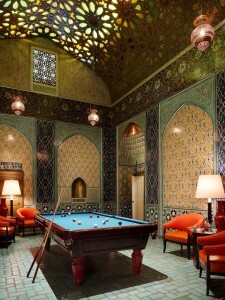 The billiard room covered in Persian tile from floor to vaulted ceiling. The Moorish details in this room were inspired by the original designer of the suite, Arthur Upham Pope, a pioneering scholar on Persian art and architecture. 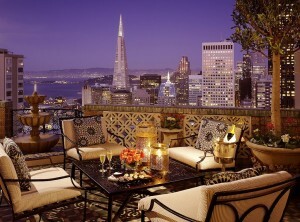 The suite’s terrace with enviable views of San Francisco. 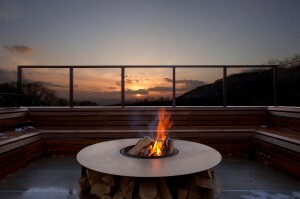 I certainly wouldn’t mind sitting out here with a gin & tonic on a nice night! What do you think? 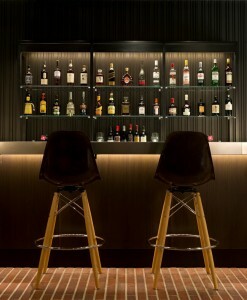 All images taken by Matthew Millman, care of Champalimaud design.